Can we expect something new in 2015? “With Hunger Undying” is the answer, a fresh manifestation of progressive & extreme metal on a genuinely personal shape. Same as the sensation that a band like for example Kvelertak made of Black Metal we face there a new form and creature with an unique formula. 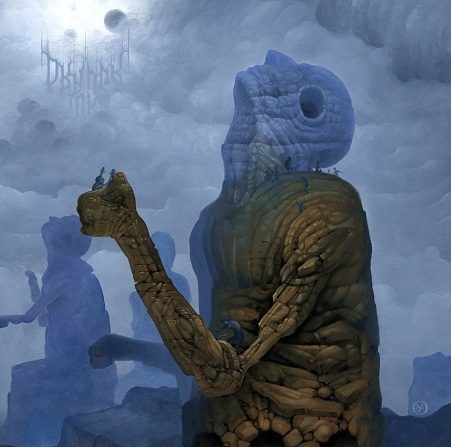 Moving from the Black & Death metal fields, some of you may hear some influences and touches of the most extreme form of Opeth or shadings of Enslaved, but the final results stays as something challenging and fresh. The concept and the impressive artwork designed by the oil painter artist genius Jess Christensen perfectly integrates the musical creation. The concept handles the ascent to civilization through agriculture, and the subsequent cessation of nomadism, the sinister concentration of religious and political power that has inevitably followed. Even the logo , designed by Christophe Szpajdel (the famous designer of Emperor, Wolves In The Throne Room, Enthroned) is the seal to a remarkable album, to stay beyond the trends.